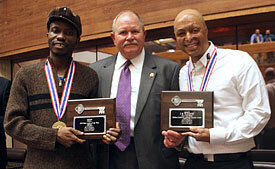 Daphne Mayor Fred Small gave keys to the city to United States Sports Academy honorees TAFA, left, and J.R. Martinez on Thursday, 21 January 2010. TAFA won the 2010 Dr. Zhenliang He Culture Award as the Sport Artist of the Year.  Martinez was the recipient of the 2009 Mildred “Babe” Didrikson Zaharias Courage Award. Martinez, a member of the U.S. Army who served in the Iraq war, began his motivational speaking career after the vehicle he was driving was struck by a landmine in Iraq, leaving 40 percent of his body burned. He endured 32 surgeries over a 34-month span, leaving permanent scars.